This is a follow up article to our original Budwig Protocol article. VERY IMPORTANT: Check with your doctor before using this recipe. Stir together (or use a hand blender) to mix thoroughly, and then eat within 15 minutes, OR the flaxseed oil will go rancid and your dish will be worthless. 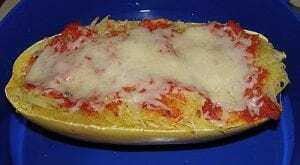 This entry was posted in Recipes on February 6, 2019 by admin. Place the squash, cut side up, in a Dutch oven. Add the water. Cover and bring to a boil. Reduce the heat and simmer for 13 to 17 minutes, or until squash fibers pull apart easily with a fork. Remove the squash from the pan and drain well. Scoop out and discard the seeds. Using 2 forks, fluff the flesh into strands. In a steamer basket over simmering water, steam the zucchini, covered, for 3 minutes; remove from the heat. Discard the cooking liquid from the Dutch oven and dry the pan well. Add the squash, zucchini, tomatoes, and green onions to the pan. Stir in the Parmesan, lemon juice, basil, fill, and pepper. Toss well to coat with sauce. Cook 1 minute over medium-high heat. This entry was posted in Low Carb Sides on June 30, 2010 by admin. 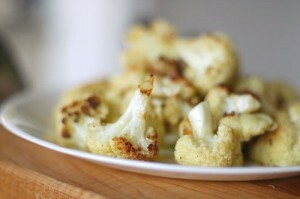 Toss cauliflower with oil, garlic, salt, and pepper in a large bowl. Spread evenly in 2 shallow baking pans and roast in upper and lower thirds of oven, stirring occasionally, until golden, 25 to 30 minutes. 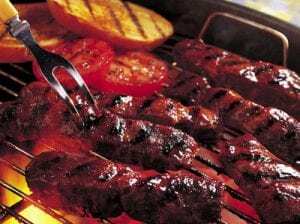 The Perfect Low Carb Barbeque Sauce: A low or no carb diet can be difficult to stick to. The limitations on the types of meals a person can eat can be discouraging. However, there is hope for those who love a good BBQ now and then. Store bought BBQ sauces can be bitter and the taste undesirable. They may leave a sour taste in a person’s mouth. Not only can low-carb BBQ sauce not taste very well, they can also be extremely expensive. An individual looking for the perfect remedy for their long lost BBQ style meal can look no further. This homemade style is fantastic for chicken, hamburger and even a nice juicy steak. The carb count of the ingredients is as follows; Ketchup: 72 Carbs. Liquid Smoke: 0 Carbs. Splenda: 6.25 Carbs. Worcestershire Sauce: 6.5 Carbs. Garlic: Less than 1 carb in 1 clove. Stir well. After 5 minutes, turn the stove to medium high. While continuing to stir, allow the BBQ sauce to start to boil. Before the boiling becomes rapid, turn the stove to low heat. Keep stirring until the BBQ sauce has stopped boiling and it is simmering. Place a lid on top of the sauce pan and let simmer for 2 hours. Every 15 minutes check the BBQ sauce and give it a stir. The recipe is flexible. An individual could add onions or hot sauce to make it spicier. For a sweeter taste, add another 1/4 of a cup of Splenda. Anything can be added or taken away for the desired BBQ sauce. Remember to watch the carb count closely, it can add up. This BBQ sauce can be frozen as well. It will last in the freezer for 6 months in a tight sealed container. Refrigeration life can be up to 6 or 7 weeks. This is the perfect solution to an individual’s BBQ desires. Preheat oven to 325°. In long mixing dish or pan combine parsley, salt, pepper and cheese. Coat pork tenderloin with oil on all sides and cover with the parsley mixture. small baking dish with 2 tsp. of olive oil and bake for 45 minutes. After 45 minutes let garlic cool and squeeze out the garlic like toothpaste. With the fork tines, press the garlic down. Mix with the mayonnaise well. Remove pork from oven and let cool for 10 minutes. Cut into slices and serve two to each plate with a teaspoon of garlic mayonnaise on the side or on top of them. Garnish with some parsley. This entry was posted in Low Carb Meals on June 30, 2010 by admin. In a hot pan, saute the sliced chicken breast in a small spoon of butter or olive oil. When the chicken is cooked, add the chopped shallots, garlic and sliced mushrooms. Stir in about 1/2 cup marsala wine and 1/2 cup demi glace. Let the sauce reduce until it’s nice and creamy by stirring the mixture. Taste it, add salt or pepper, and serve. Heat olive oil in a large nonstick skillet over medium to high heat. Add scallops, and saute 4 minutes or until done. Remove scallops from skillet with a slotted spoon; set aside, and keep warm. Add onion rings and garlic to skillet, and saute for 1 1/2 minutes. Add tomato and remaining ingredients and saute 2 minutes or until tender. Spoon sauce over scallops. Combine chicken and 1 tablespoon teriyaki sauce in a bowl; stir well. Let stand 10 minutes. Heat oil in a nonstick skillet over medium-high heat. Add celery, carrot, and garlic; stir-fry 1 minute. Stir in cabbage and water chestnuts; remove from skillet. Add chicken; stir-fry 3 minutes. Add remaining teriyaki sauce; stir-fry 1 minute. Return cabbage mixture to skillet; stir-fry 1 minute or until done. A Low Carb Recipe For Chicken Soup: Chicken soup can be a fabulous meal on cold days. 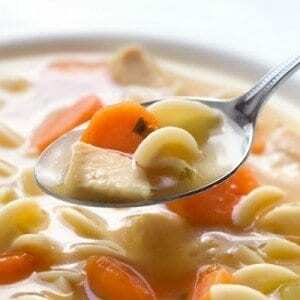 Most carb counting individuals steer away from soup because they can be high in carbs. Noodles are extremely excessive in carbs. However, a person can make a filling, thick soup without worry of large amounts of carbs as well as low fat content. The recipe is simple to make and can last in the refrigerator or freeze for months. Watching carb intake can be bothersome as well as difficult. 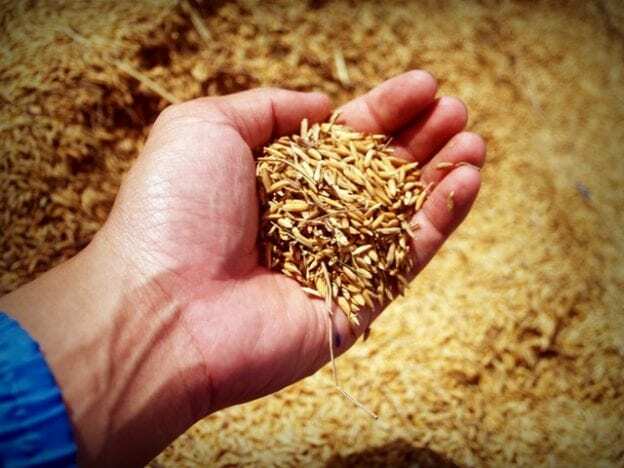 There are several store bought brands that could be low in carbs, however the taste may be lacking. These products can also be fairly expensive. Creating a soup that will last in the freezer is helpful to the pocketbook. The carb count for the ingredients is as follows; Chicken: 0 Carbs, Cabbage: 28 carbs, Onions: 12 Carbs, Celery: 20 Carbs, Bullion Chicken Cubs: 10 Carbs. An individual can use whole or with skin chickens. Nevertheless, they will need to be de-boned as well as skinned. If a person leaves the skin on, the soup will taste oily. Dice the chicken in cubes. In a large soup pot, fill half with water. Add the chicken. Let boil for an hour, stirring occasionally. Finely dice the cabbage, onions and celery sticks. Set aside. Unless the bullion cubes are purchased without their paper casing, peel them at this point. After the chicken has cooked, drain the water. This will remove the excess oils that may be present. Refill the pot half way with fresh water, return to the stove. The heat should be on a medium temperature. Before re-adding the chicken, mix the bullion cubes in to the water. They should be completely dissolved in a few minutes. Add the pinch of garlic and pepper. Avoid salt, because with the bullions, it will be overpowering. Bring the soup to a rapid boil, stirring frequently. After 5 minutes of extreme boiling, reduce the heat to low. Cover the pan and let simmer for 1 and 1/2 hours. The soup needs to be mixed every 15 to 20 minutes. This recipe is perfect for lunch time or a small snack. The carb count is fairly low per serving and a healthy alternative to other snack foods. The soup can be kept in the freezer for 8 months in a tight sealed container. In the refrigerator, the life is only a couple of weeks. This chicken soup is flexible as well. A person can add different vegetables to their liking. Remember, to track the carb count carefully when adding ingredients. 1. Preheat oven to 350ÂºF. 2. Cut eggs in half lengthwise. Remove yolks and set whites aside. 3. In small bowl, mash yolks with fork. Stir in 1/2 cup of cheese, milk, salt, and pepper until well blended. 4. Fill each white with one heaping tablespoon yolk mixture. 5. Place in 8x8x2 inch baking dish. 6. In medium saucepan over medium heat, cook onion and pepper in butter until crisp & tender, for about 3 minutes. 7. Stir in tomato sauce and bring to a boil. Pour over eggs. Sprinkle with remaining cheese. 8. Bake until hot and bubbly and cheese is melted, about 15 minutes. Serve over rice and garnish with parsley, if desired. This entry was posted in Low Carb Breakfast on June 30, 2010 by admin.